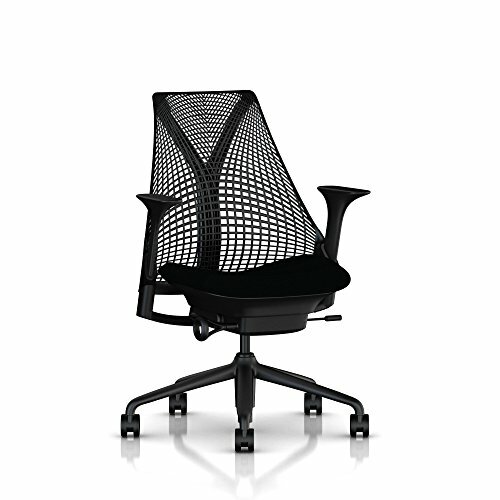 This ergonomic chair was designed by Yves Behar, a famous Swiss designer from San Francisco, California. Behar used the Golden Gate bridge as a source of inspiration. The designer and developers spent three years preparing this chair for the public. The chair features two innovations that make it one of the best office chairs available on the market in 2019. 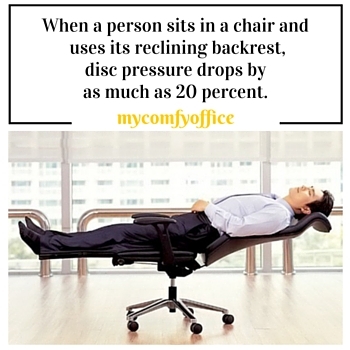 This office chair has two innovative features which put it on top of its competition. The ArcSpan and Y-Tower features were specially designed for this model, and you won’t find them in any other product. The smart engineering, simple and elegant design make the SAYL one of the best looking and efficient chairs on the market. The ArcSpan feature shapes the back of the chair and anchors the suspension fabric in place. The back allows you to stretch and move, providing the right balance between freedom of movement and adequate support. The strands of the fabric are made out of elastomer, and they vary in thickness providing more support in transition areas and less in other places, encouraging seated movement. This feature provides ergonomic support for every person weighing under 350 pounds. The Y Tower feature represents the backbone of the chair and its role is to provide support and stretch the fabric. The back of the chair can be tilted backward on one of the three settings – 91, 101, or 124 degrees. 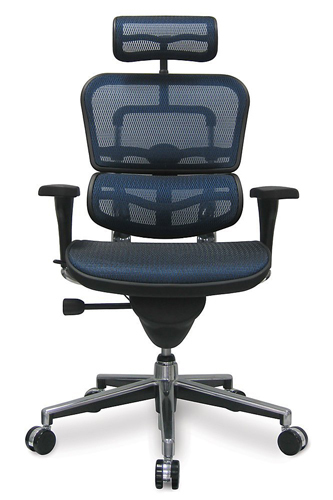 If you want to learn more about buying an office chair, check out our full Office Chairs for Back Pain Buying Guide. 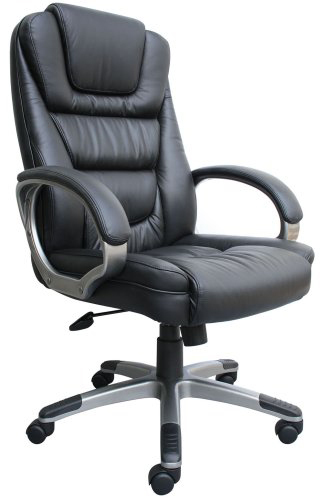 This chair has an elegant and efficient design, and it will make a great addition to every home office or work space. The chair’s structure works just like the one of a suspension bridge, using elastomer strands to provide enough support for people weighing up to 350 pounds. This design uses less material to provide the necessary support than other models, making it more environmentally friendly. The back design includes the PostureFit feature which will provide the proper support for the base of your spine and sacral region, allowing your pelvis to maintain its natural forward inclination. degrees, and you can either tilt the back freely or lock it into place. 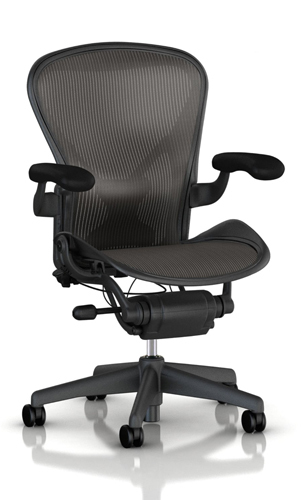 It doesn’t matter which tilt setting you’re picking, the sturdy frame and elastomer strands will provide the necessary lumbar and spine support, allowing you to keep a good posture throughout the day. All the materials used to create this chair are high-quality. 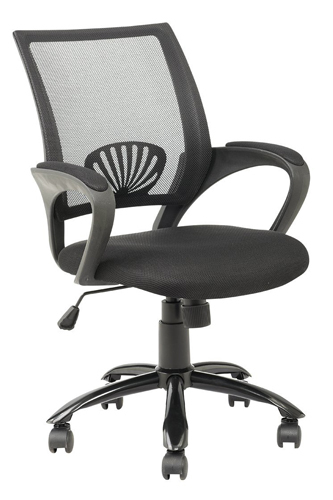 The material on the back of the chair stretches and moves along with you, and it feels great to the touch. One of the best things about having straps of fabric instead of leather or other material is that your back won’t get sweaty when you sit. The arms of the chair are not adjustable, but most people won’t consider that a problem. The chair’s design allows you to move your arms freely, while still providing enough support for your arms when you’re typing or writing. The casters are specially designed to be used on low to a medium-thick carpet, but they can also roll great on clear and even surfaces, like tile or wood flooring. This high-end ergonomic office chair should be the go-to product for everyone who is not only looking for an efficient chair but for a great looking one as well. The chair has an awesome design and it will definitely improve the ambiance in your home office or workspace. 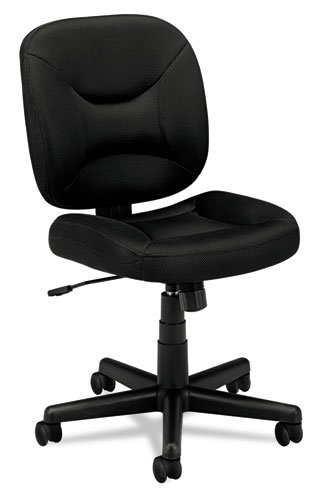 This chair is extremely comfortable and it will help with maintaining a good posture for a long time, making it very efficient as well. The chair’s breathable back will provide a comfortable experience even during the warmer months because your back won’t sweat. The unique design of this model will make it improve your office’s decor without being ostentatious. The chairs produced before February 2014 can squeak. This SAYL Chair review gives you a clear insight of just how well-designed and efficient this high-end office chair really is. The chair is made out of fewer parts and materials, so it has a smaller carbon footprint and it’s more environmentally friendly. The breathable back moves and stretches with you, providing enough support but allowing you to move freely while keeping your back cool even in the summer. OfficeChairs.Reviews © 2018. © 2016 All Rights Reserved. This website is a participant in the Amazon Services LLC Associates Program, an affiliate advertising program designed to provide a means for sites to earn advertising fees by advertising and linking to amazon.com.